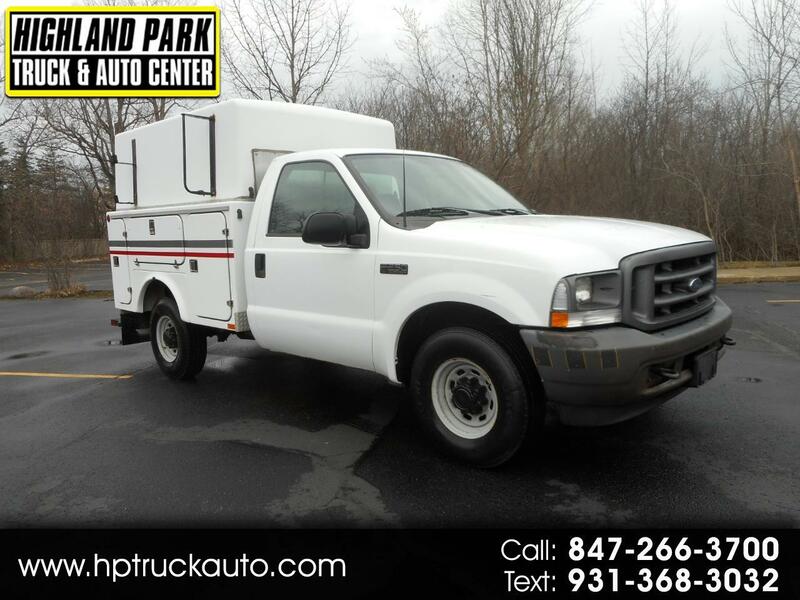 1 OWNER FLEET MAINTAINED 2003 F250 REGULAR CAB ENCLOSED FIBERGLASS SERVICE BODY TRUCK. EQUIPPED WITH THE GOOD 5.3L V8 BEFORE FORD MOTOR COMPANY CHANGED THE CONFIGARATION. RUNS AND DRIVES PERFECT! SUPER CLEAN INSIDE AND OUT. TONS OF STORAGE. TOW PACKAGE. AM/FM STEREO. TILT STEERING WHEEL, CRUISE CONTROL AND MORE.